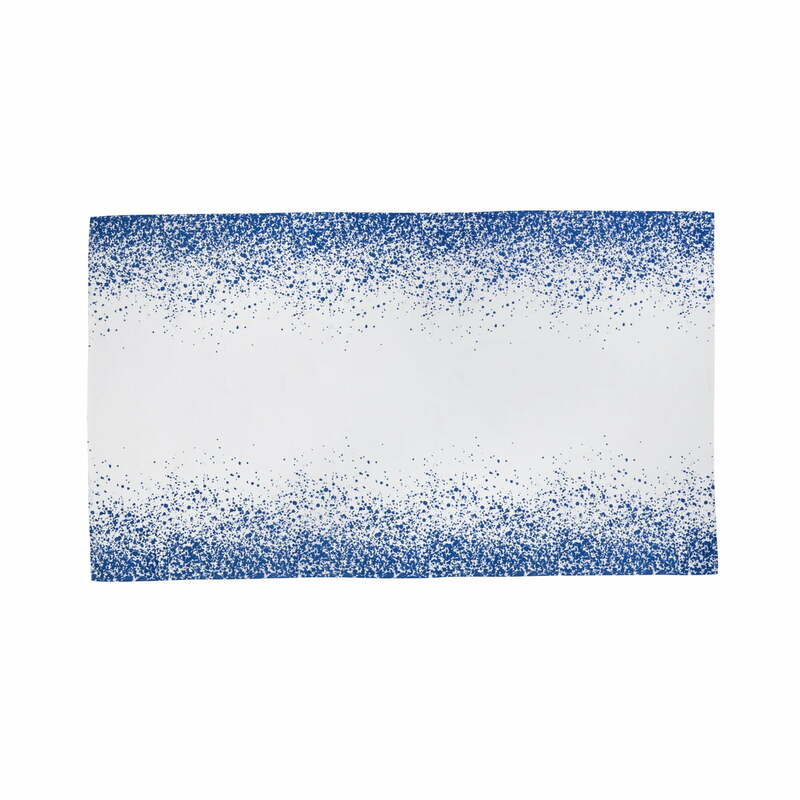 The pattern of the Splash Table Cloth brings back memories of water splashes or abstract art. 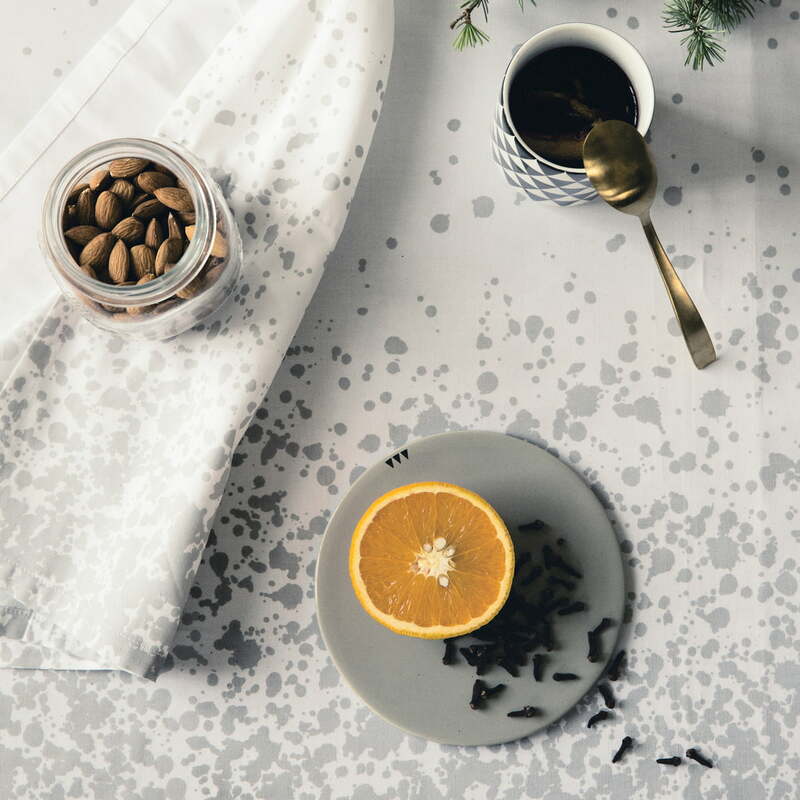 Whatever it may represent to you, the ferm Living Splash Table Cloth is sure to be a unique image on any table. The design table cloth is available in different colours. The colour contrast and the visual separation provide attraction, particularly in combination with matching dishes. Artistic and stylish – this table cloth brings great design to every meal and table decor. The Splash Table Cloth is made of 100% cotton and is available in grey and blue, each in the measurements of 140 x 240 cm or 140 x 290 cm. The unique water splash design is created through a digital printing process and gives the dining table a lively look. 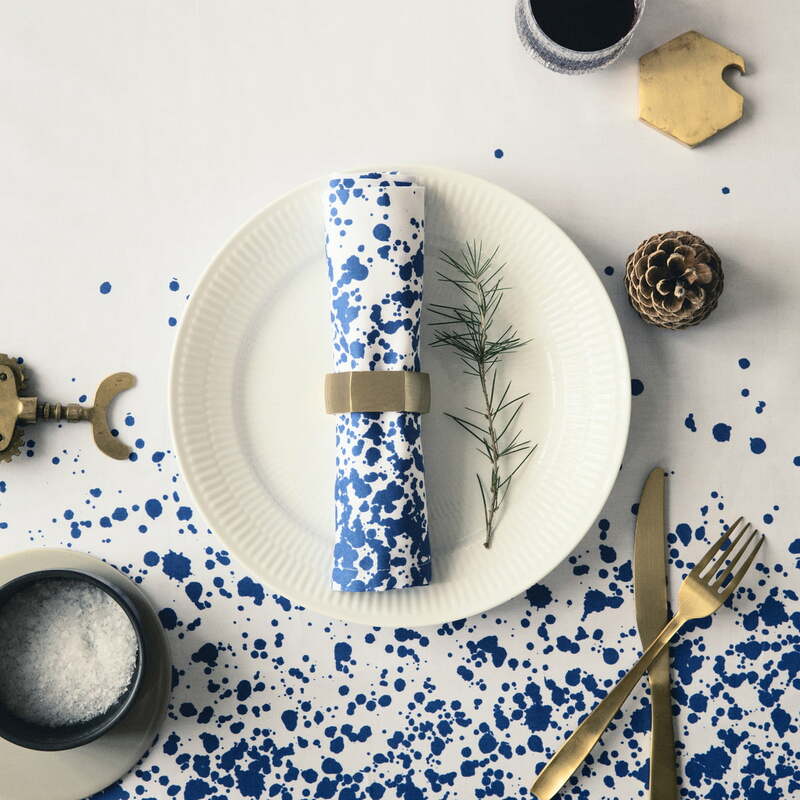 To match with the table cloth, you can order the Splash Paper Napkin in different variations. Bon appétit! 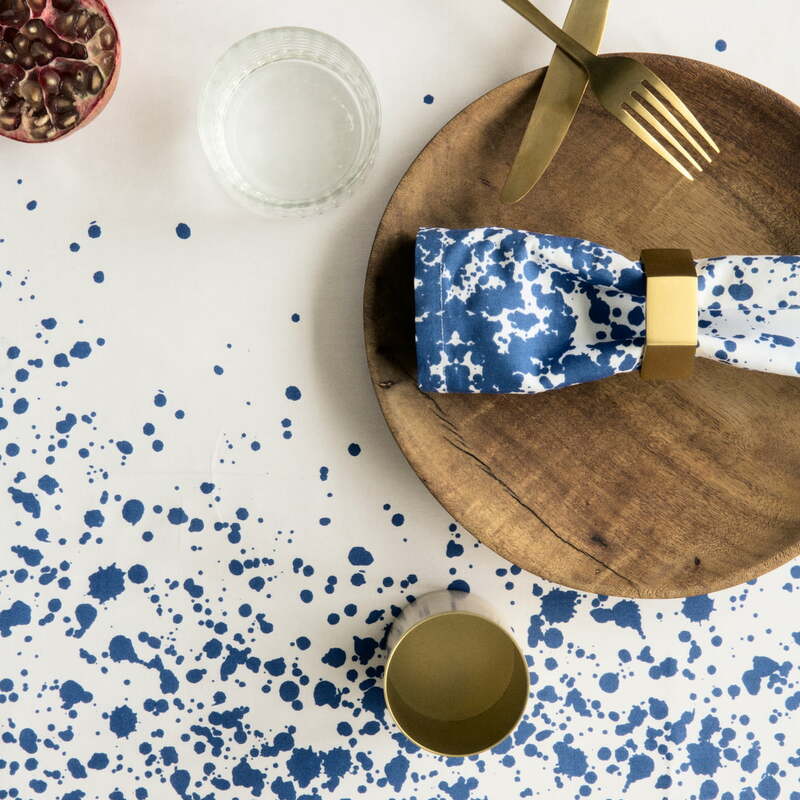 With its graphic pattern, the Splash Table Cloth by ferm Living becomes a statement on every table. The Splash Table Cloth and Napkins by ferm Living are available in different colours. The colour creates a modest table decoration with a lively look.